I have always been obsessed with hair accessories. From those quirky butterfly clips (remember those?!) to headbands. My current obsession is Crystal Headbands. They are so chic! From dressing up to dressing down---there is no way you can go wrong. Just slip one of those into your hair and you have made your look that much more glam. A big plus is that they are so versatile. You can wear your hair in a bun, braid, untamed, you name it---they make your hair look fabulous. 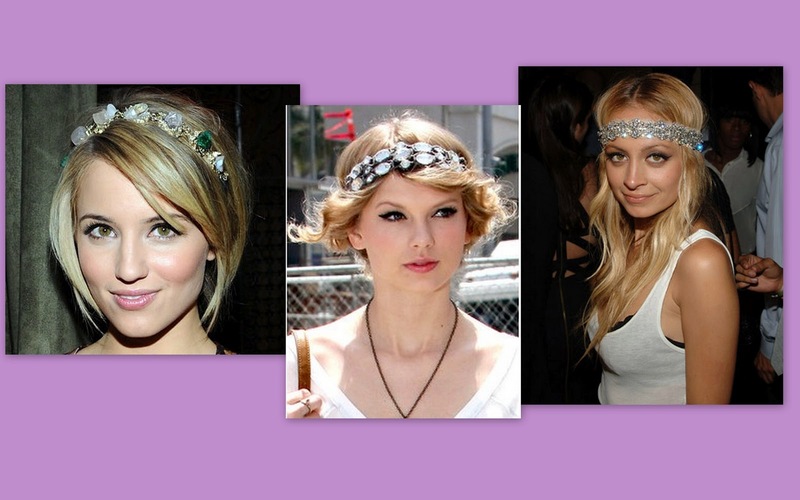 Check out Taylor, Nicole, and Dianna’s versions of the headband. 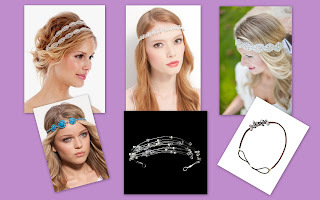 Pair them with a cute dress like Dianna Agron or spice up your tee with a cute headpiece like Nicole Richie. Here are a few super cute headbands I found! I’m going to have to add one of these babies to my hair accessory collection asap. I’ve got my eye on the circle headwrap as well as the turquoise one from Nordstrom that could add that splash of color that’s so great for spring!